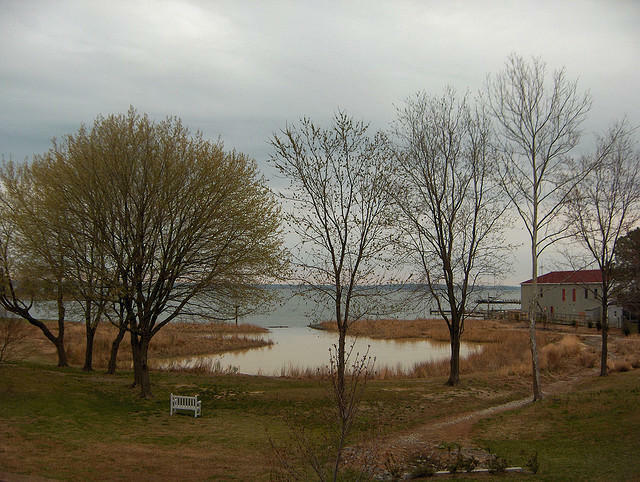 A view from the Inn at Perry Cabin in St. Michaels, Maryland. “It’s right in the middle of Bald Eagle State Park on a beautiful lake. This is a twenty room inn. It's a sustainable property. It’s going to be a bit on the chilly side, but this place is just so snug and so cozy. The property is a play of wood and glass, lots of cozy seating areas, you can great games, read a book, [and] they do an amazing gourmet breakfast." While you are there don't miss out on The Great Backyard Bird Count. Mount Vernon, Las Vegas, Chicago and The Inn at Perry Cabin. As the temperatures plummet, how many of us don’t pass some of our time dreaming of relaxing on a warm, sandy beach? Elaine Labalme, who tweets about food and travel under the Twitter handle New Girl in Town, joins us to suggest beach destinations you can escape to this winter. Looking for a way to de-stress from the holidays? Travel contributor Elaine Labalme suggests some bed and breakfast getaways in the Commonwealth.